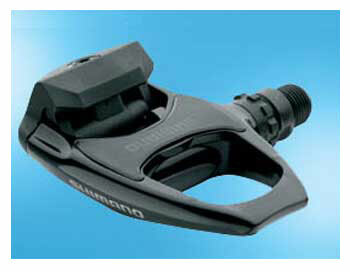 Entry level version of Shimano's new design clipless pedal system but with all the features of the top Dura Ace model. Single sided SPD clipless pedal with wide shoe supporting platform and spring tension adjustment. 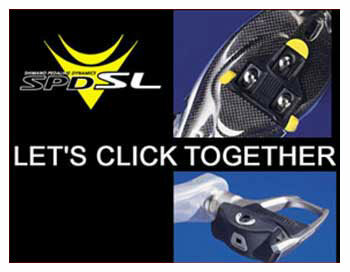 Cleats suitable for all Shimano SPD style pedals. 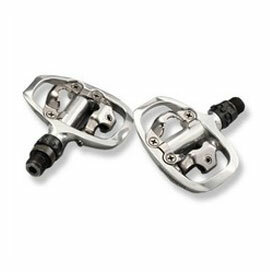 Pedal cleats for all Shimano SPD SL pedals. Available in both fixed and float versions. 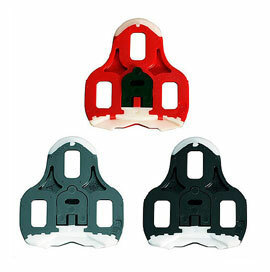 Replacement Look pedal cleats to fit all 3 hole soled shoes. 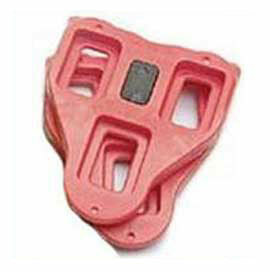 Replacement Look Keo pattern pedal cleats to fit all 3 hole soled shoes. 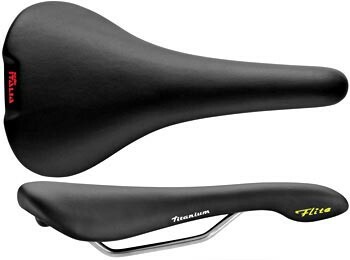 Weight: 155 g/pair  Previous model iClic2 Titan Carbon: 175g/pair. Saves 20g. Weight: 195 g/pair  Previous model iClic2 Racer: 255 g/pair. Saves 60g. Weight: 205g/pair  Previous model iClic2: 260 g/pair. Saves 55g. The race winning Iclic2 Carbon pedal but built into a lightweight composite body. The features include Time's revolutionary patented Iclic2 technology, for super fast, effortless and reliable engagement. Composite body and steel axle with flexible carbon blade. Automatic pre-opening of engagement mechanism. Adjustment of angular sensations, or ”feel”. Q-Factor adjustment — setting of lateral foot position. Lightweight composite road pedal at a great price. Features Time's revolutionary patented Iclic2 technology, for super fast, effortless and reliable engagement. The RXS pedal is a new generation of road racing pedals featuring an unbeatable ratio of platform surface to weight adjustable sensation of float and a cleat which offers compatability regardless of the brand of shoe. Pedals are supplied with cleats. Bioperformance: - Angular float:+/- 5o - Lateral float: 2.5 mm. Replacement Time RXS cleats to fit any 3 hole style shoes. American designed and manufactured double sided clipless pedal with ultra low weight and unbeatable cornering clearance. Features also include adjustable float or fixed option without the need to change cleats. 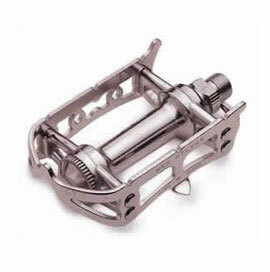 The same double sided clipless pedal as the Zero titanium model but with a stainless steel axle. 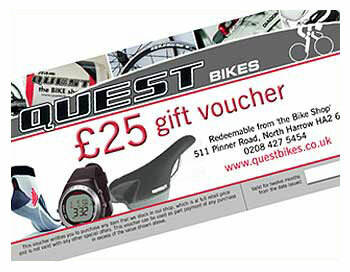 As used by the CSC pro race team. With the same body and bearings as the coveted Custom Nuevo, the Pro is the ultimate road/ touring pedal. The silky smooth bearings are hand finished to a tolerance of 0.03mm and the 4 bolt cage means strength and durability. These pedals really are world class! 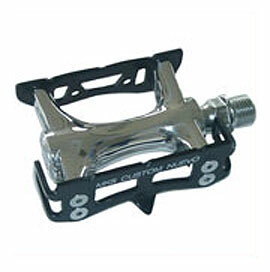 Traditional style road pedal similar in design to the original Campagnolo road pedals. Featuring a cro mo steel axle, quality bearings and all alloy body. Can be used with toe clips and straps. Extra wide touring pedal with alloy body and cro m steel axle designed to accomodate wider shoes. Will accept toe clips and straps. Modern low profile race bike pedal with alloy body and cromo steel axle. Will accept toe clips and straps if required. These Japanese produced toe slips are amongst the highest quality available. They include fittings bolts and an allen key.